For the justice department of the state of Victoria, see Department of Justice and Regulation. Victoria Dawn Justice (born February 19, 1993) is an American actress and singer. She rose to fame on Nickelodeon in the 2000s, starring as Lola Martinez on Zoey 101 (2005–2008) and later Tori Vega on Victorious (2010–2013). Justice has also appeared in the films The Boy Who Cried Werewolf (2010), Fun Size (2012), The First Time (2012) and Naomi and Ely's No Kiss List (2015). In 2015, she starred in the lead role as Lindy Sampson on the MTV television series Eye Candy . In music, Justice has recorded several songs for the soundtracks of her acting projects, including Victorious and the Nickelodeon musical Spectacular! . Zoey 101 is an American comedy-drama television series created by Dan Schneider that originally aired on Nickelodeon from January 9, 2005 until May 2, 2008. It focuses on the lives of teenager Zoey Brooks, her brother Dustin, and her friends as they attend Pacific Coast Academy (PCA), a fictional boarding school in Southern California. 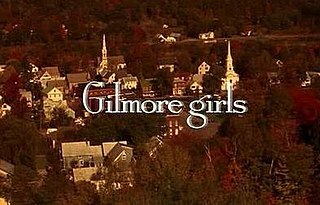 It was initially filmed at Pepperdine University in Malibu, California, then at stages in Valencia, California beginning in season 3. It was nominated for an "Outstanding Children's Program" Emmy in 2005. Zoey 101 was the most expensive production ever for a Nickelodeon series, as it was shot completely on location in Malibu, California. Hollywood is a city in Broward County, Florida, between Fort Lauderdale and Miami. The average temperature is between 68 and 83 °F. As of July 1, 2017, Hollywood had a population of 153,627. Founded in 1925, the city grew rapidly in the 1950s and 1960s, and is now the twelfth-largest city in Florida. Hollywood is a principal city of the Miami metropolitan area, which was home to an estimated 6,012,331 people at the 2015 census. In 2003, Justice began her acting career when she was 10 years old, making a guest appearance on the Gilmore Girls episode "The Hobbit, the Sofa and Digger Stiles." Justice portrayed Jill No. 2, a walk-on role. After her appearance in the series, her family moved to Los Angeles, when Justice began to pursue a career in acting. The following year, Justice guest-starred on the second episode of the Disney channel series The Suite Life of Zack & Cody , in which she played a young pageant contestant named Rebecca. Later, Justice was cast as Stella, a young girl who begins seeing visions of Mary Magdalene,  in the 2005 drama-thriller Mary . The film debuted at 2005 Venice Film Festival, and was later shown at several other festivals, including the 2005 Toronto International Film Festival, Deauville Film Festival and the San Sebastián International Film Festival. The Suite Life of Zack & Cody is an American sitcom created by Danny Kallis and Jim Geoghan. The series aired on Disney Channel from March 18, 2005, to September 1, 2008 with 4 million viewers, making it the most successful premiere for Disney Channel. The series was nominated for an Emmy Award three times and was nominated for a Nickelodeon Kids' Choice Award three times. Saint Mary Magdalene, sometimes called simply the Magdalene, was a Jewish woman who, according to the four canonical gospels, traveled with Jesus as one of his followers and was a witness to his crucifixion, burial, and resurrection. She is mentioned by name twelve times in the canonical gospels, more than most of the apostles. Mary's epithet Magdalene most likely means that she came from the town of Magdala, a fishing town on the western shore of the Sea of Galilee. Mary is a 2005 drama thriller film, written and directed by American director Abel Ferrara. The film stars Juliette Binoche, Forest Whitaker, Marion Cotillard, Matthew Modine and Heather Graham. During the same year, Justice landed a main role in the Nickelodeon series Zoey 101 as Lola Martinez, a new student who is an aspiring actress. On landing the role, she said, "I was extremely happy; I was bouncing up and down and screaming. That was a really great moment." Justice's character was introduced in the second season on September 11, 2005. Justice also made a cameo appearance in the R-rated film When Do We Eat? , and played the role of Rose in the Hallmark television film Silver Bells , the latter of which became a Hallmark Hall of Fame film. Justice confirmed that she would be starring in her own musical show on Nickelodeon called Victorious , explaining the show's genesis thus: "I was on Zoey 101 . When I was 12, Dan Schneider cast me as a new character, Lola Martinez. From there, I worked with him for three years, on three seasons of Zoey 101. And, after that, Dan found out that I could also sing and dance as well as act, so he thought it would be really cool to create a show for me on Nickelodeon, called Victorious." The pilot for the show debuted on March 27, 2010, and received 5.7 million views, making it the second-highest rated premiere for a live-action Nickelodeon series. The original broadcast of this episode took place following the 2010 Kids' Choice Awards. Justice recorded several songs for the series throughout its run. Justice had the opportunity to share a recording set during the series' recordings, with different young artists who, like her, were in search of artistic possibilities, some of them were Ariana Grande, JC Gonzalez, Leon Thomas III, Matt Bennett, Jake Farrow, Elizabeth Gillies, among others, participating in several seasons dominated by episodes such as The Bird Scene, Tori the Zombie and Survival of the Hottest. Justice later guest-starred on the animated series The Penguins of Madagascar , voicing the character of Stacy in the episode "Badger Pride." Justice starred in the 2010 Nickelodeon television movie The Boy Who Cried Werewolf , playing Jordan Sands, a girl who is transformed into a werewolf following her move to a creepy manor. The film was a major success for the network, drawing in 5.8 million viewers for the premiere. The film received generally positive reviews from critics. The film currently holds a 69% approval rate on Rotten Tomatoes based on 24 reviews. Victorious ended its run on February 2, 2013. Justice played the lead role Wren in the comedy Fun Size , released on October 26, 2012. On October 20, 2016, Justice played Janet Weiss, one of the lead roles in The Rocky Horror Picture Show: Let's Do the Time Warp Again. Starring an ensemble cast led by Laverne Cox, the film premiered on the Fox network. It is a tribute  to the cult classic 1975 film of the same name and directed by Kenny Ortega, using the original script written by Richard O'Brien and Jim Sharman. Tori Vega Episode: "iFight Shelby Marx"
2015 Lip Sync Battle Episode: "Gregg Sulkin vs. Victoria Justice"
2017 Impractical Jokers: After Party Herself Episode: " The Walking Dread "
2018 Robot Chicken Student (voice) Episode: "Factory Where Nuts Are Handled"
2018 Movie Night With Karlie Kloss Herself Episode: "Dirty Dancing"
2018 American Housewife Harper Episode: "Trophy Wife"
Jamie Lynn Marie Spears is a singer, songwriter, and American actress. She was born in McComb, Mississippi, and raised in Louisiana, the younger sister of singer Britney Spears. She is known for her role as Zoey Brooks on the Nickelodeon teen sitcom Zoey 101, in which she starred from 2005 to 2008. Drake & Josh is an American sitcom created by Dan Schneider for Nickelodeon. The series follows stepbrothers Drake Parker and Josh Nichols as they live together despite having opposite personalities. The series also stars Nancy Sullivan, Jonathan Goldstein, and Miranda Cosgrove. Unfabulous is an American teen sitcom that aired on Nickelodeon. The series is about an "unfabulous" middle school student and teenager named Addie Singer, played by Emma Roberts. The show, which debuted on September 12, 2004, was one of the most-watched programs in the United States among children between the ages of 10 and 16. It was created by Sue Rose, who previously created the animated series Pepper Ann and Angela Anaconda, and co-created the character Fido Dido with Joanna Ferrone. The series ended on December 16, 2007, with the third season being the final season. Alexa Nikolas is an American former actress. She is known for her role as Nicole Bristow on the Nickelodeon television series Zoey 101. Nikolas has also appeared on various other television series, including That's Life, Hidden Hills, Revelations, and The Walking Dead. Daniella Monet Zuvic is an American actress and singer best known for playing numerous television guest roles and starring as Trina Vega in the Nickelodeon comedy series Victorious. She also played Rebecca in the Nickelodeon comedy-drama series Zoey 101 and the supporting role of Inga Veinshtein in the 2007 film Nancy Drew. Dan Schneider is an American actor, television writer, and producer. After appearing in mostly supporting roles in a number of 1980s and 1990s films and TV shows, Schneider devoted himself to behind-the-scenes work in production. He is the co-president of television production company Schneider's Bakery and made What I Like About You for The WB and All That, The Amanda Show, Drake & Josh, Zoey 101, iCarly, Victorious, Sam & Cat, Henry Danger, Game Shakers, and The Adventures of Kid Danger for Nickelodeon. Hannah Montana, also known as Hannah Montana Forever in its fourth and final season, is an American musical comedy television series created by Michael Poryes, Rich Correll, and Barry O'Brien. It focuses on Miley Stewart, who is a teenager living a double life as an average schoolgirl by day and as the famous recording artist Hannah Montana by night, which she keeps secret and only a few people know of her alter ego. The story follows the daily life of Stewart, her brother Jackson, her best friends Lily and Oliver, and her father Robby. Jennette McCurdy is an American actress, YouTuber, singer and writer. She is known for playing Sam Puckett on the Nickelodeon sitcom iCarly and its spin-off series Sam & Cat. McCurdy has also appeared in a number of television series, including Victorious, Zoey 101, True Jackson VP, Malcolm in the Middle, and Lincoln Heights, and has also produced, written, and starred in her own online series titled What's Next for Sarah? From May 2015 to August 2016, she starred in the Netflix/Citytv drama series Between as Wiley Day. Avan Tudor Jogia is a Canadian-British actor, activist and director. He is known for his roles as Ben Stark in Syfy show Caprica, Beck Oliver in the Nickelodeon sitcom Victorious, and Danny Desai in the ABC Family drama Twisted. Elizabeth Egan Gillies is an American actress and singer. Big Time Rush is an American musical comedy television series that originally aired on Nickelodeon from November 28, 2009, until July 25, 2013. It was created by Scott Fellows. It focuses on the Hollywood misadventures of four hockey players from Duluth, Minnesota: Kendall Knight, James Diamond, Carlos Garcia, and Logan Mitchell, after they are selected to form a boy band by fictional mega music producer, Gustavo Rocque. The 23rd Annual Nickelodeon Kids' Choice Awards was held on March 27, 2010, on the Nell and John Wooden Court of Pauley Pavilion, on the campus of UCLA in Los Angeles, California. With the launch of Nickelodeon Canada in late 2009, Canada broadcast the awards live as it aired in the Eastern, Central, and Mountain time zones of the United States and the awards was rebroadcast on YTV on April 2, 2010 at 7 p.m. ET. As a result, Canadian kids were able to vote on candidates for the first time. Nickelodeon's sister channels TeenNick and Nicktoons suspended regular programming during the 90-minute duration of the award show to allow viewers to see the awards. The 2010 awards were hosted by Kevin James, who is a first-time Kids' Choice host. Matthew Hank Bennett is an American actor and singer. He is best known for playing the role of Robbie Shapiro in the Nickelodeon sitcom Victorious and for starring in the Will Ferrell-produced film The Virginity Hit. Benjamin Christopher Flores Jr., also known as Lil' P-Nut, is an American child actor and rapper. In music, he is known for his song, "You Might Be the One". In acting, Flores starred as Louie Preston on the Nickelodeon television series The Haunted Hathaways (2013–2015), and since 2015 he has played Triple G on the Nickelodeon series Game Shakers. ↑ "Victoria Justice: Biography, Latest News & Videos". TVGuide.com . Retrieved October 9, 2012. ↑ Martinez, Patty A. (May 2010). "Talent Show: Teen Celebrities and Their Dedicated Moms". Family Circle . Retrieved August 1, 2010. ↑ Moreno, Carolina (November 16, 2012). "27 Celebrities You Didn't Know Were Latino (PHOTOS)". Huffingtonpost.com. Retrieved February 26, 2013. 1 2 Cooper, Michael (December 28, 2017). "We Picked Madonna's Top 20 Singles to Celebrate 35 Years Since Her Debut". L.A. Weekly. Retrieved January 2, 2018. ↑ "Twitter / VictoriaJustice: Happy B Day 2 my 1 of a kind". Twitter.com. Retrieved October 31, 2013. ↑ "Victoria Justice Biography". BuddyTV . Archived from the original on January 18, 2013. Retrieved April 24, 2013. ↑ Arreola, Cristina (August 6, 2014). "Latino Celebrities You Never Knew Were Homeschooled". LATINA. Retrieved January 2, 2018. ↑ Westhoff, Ben (May 16, 1993). "Victoria Justice: The Kids' Choice". LA Weekly . Retrieved January 10, 2019. "I think you go right here," says Victoria Justice, guiding a reporter toward her house in the Encino Hills, overlooking the mountains and just down the street from Martin Lawrence's pad. ↑ "Millikan Middle School Affiliated Charter Performing Arts Magnet & Science Academy". Millikanmiddleschool.org. Retrieved November 3, 2012. ↑ Victoria Justice at SuperiorPics.com. Retrieved January 28, 2011. ↑ Fine, Audrey. 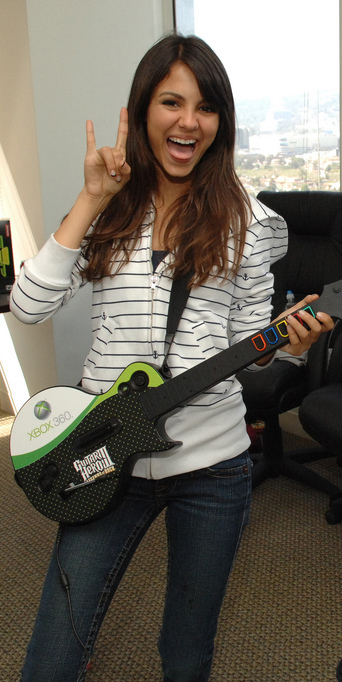 "Getting to Know: Zoey 101's Victoria Justice" Archived January 10, 2011, at the Wayback Machine , Seventeen . Retrieved January 28, 2011. ↑ The Kings of Appletown Archived February 3, 2011, at the Wayback Machine at Fluge! Movie info. Retrieved January 28, 2011. ↑ "Nickelodeon Scores 2nd Biggest "Kids' Choice Awards"; "Victorious" Bows to 5.7 Million". TV By the Numbers. March 29, 2010. ↑ "GI Partners Closes Netsmart Technologies Transaction". money.cnn.com. ↑ "Victoria Justice to release first album in 2013: 'It's going to be pop'". Digital Spy . October 25, 2012. Retrieved December 1, 2012. ↑ "iTunes - Music - Gold - Single by Victoria Justice". Itunes.apple.com. June 18, 2013. Retrieved October 31, 2013. ↑ "Victoria Justice - Girl Up (Official Video)". YouTube. February 16, 2013. Retrieved January 21, 2014. ↑ "New Video: Victoria Justice - "Girl Up" | GirlUp | United Nations Foundation | Uniting Girls to Change the World". GirlUp. Archived from the original on December 31, 2013. Retrieved January 21, 2014. ↑ Gelman, Vlada (October 11, 2013). "'Eye Candy' — Victoria Justice Cast in MTV Cyber Thriller Pilot". TVLine. Retrieved October 31, 2013. 1 2 McNary, Dave (October 23, 2013). "Victoria Justice, Pierson Fode In 'Naomi and Ely's No Kiss List'". ↑ "Victoria Justice and Pierson Fode Dish on Their Romance and ' Naomi & Ely's No Kiss List'". September 10, 2015. ↑ "'The Outcasts': Film Review". 1 2 "Victoria Justice Joins Fox's 'Rocky Horror Picture Show' Remake". Billboard . January 4, 2016. Retrieved January 4, 2016. ↑ Andreeva, Nellie (April 10, 2015). "Rocky Horror TV Remake In Works At Fox With Gail Berman & Kenny Ortega". Deadline Hollywood . Penske Media Corporation . Retrieved November 4, 2015. ↑ "Victoria Justice's Charity Work, Events and Causes", Look to the Stars. Retrieved January 28, 2011. ↑ "Exclusive Victoria Justice Prom Pics!". Seventeen.com. n.d. Retrieved January 28, 2011. ↑ Harp, Justin (December 13, 2010). "Victoria Justice 'reveals musical influences'". Digital Spy . Retrieved March 16, 2016. ↑ "Victoria Justice Talks "Make It in America" Tour and More @ARTISTdirect". Artistdirect . Retrieved March 16, 2016. ↑ O'Connell, Michael (October 30, 2015). "Victoria Justice to Recur on Fox's 'Cooper Barrett' (Exclusive)". The Hollywood Reporter. Retrieved January 15, 2016. ↑ "Listings - MAN WITH A PLAN on CBS | TheFutonCritic.com". www.thefutoncritic.com. Retrieved November 7, 2017. ↑ "27th Annual Young Artist Awards - Nominations / Special Awards". Youngartistawards.org. March 25, 2006. Archived from the original on July 4, 2010. Retrieved February 26, 2013. 1 2 "28th Annual Young Artist Awards - Nominations / Special Awards". Youngartistawards.org. March 10, 2007. Archived from the original on May 31, 2014. Retrieved February 26, 2013. ↑ "29th Annual Young Artist Awards - Nominations / Special Awards". Youngartistawards.org. Archived from the original on July 6, 2008. Retrieved February 26, 2013. ↑ dizneyztarz28 (February 26, 2004). "Dizneyztarz28: Más Teen Choice Awards 2010 Nominaciones". Dizneyztarz28.blogspot.com.ar. Retrieved February 26, 2013. ↑ Kim Grundy (February 10, 2011). "Nickelodeon Kids' Choice Awards 2011 nominees". Sheknows.com. Retrieved February 26, 2013. ↑ "Christina, Selena, Sofia, Demi and Cameron Spice Up the ALMAs". E! Online. July 28, 2011. Retrieved November 24, 2011. 1 2 Editores Revista Teen (February 22, 1999). "ÂĄSe anuncian los nominados a los Kids' Choice Awards de Australia!". Revistateen.com. Retrieved February 26, 2013. ↑ David Knox (August 15, 2011). "2011 Nickelodeon Kids' Choice Awards (Aus): nominees". Tvtonight.com. Retrieved April 6, 2015. ↑ "Australian Nickelodeon Kids Choice Awards 2011 Winners List". Thehothits.com. Archived from the original on January 17, 2015. Retrieved April 6, 2015. ↑ "26th Annual Imagen Awards - Nominees & Winners | The Imagen Foundation". Imagen.org. August 12, 2011. Retrieved February 26, 2013. ↑ "42nd NAACP Image Awards Nominees Announced | GossipCenter - Entertainment News Leaders". Es.gossipcenter.com. Retrieved February 26, 2013. ↑ "32nd Young Artist Awards 2011". YoungArtistAwards.org. Archived from the original on August 8, 2013. Retrieved December 25, 2014. ↑ "Kids' Choice Awards 2012: Winners List, Slimed Celebrities (PHOTOS)". Huffingtonpost.com. April 1, 2012. Retrieved February 26, 2013. ↑ Sugey Palomares. "2012 ALMA Award Winners: Complete List, American Latino Media Arts Awards". Latina. Retrieved February 26, 2013. ↑ "Do Something TV Star". VH1.com. Retrieved March 13, 2015. 1 2 "27th Annual Imagen Awards - Nominees | The Imagen Foundation". Imagen.org. Retrieved February 26, 2013. 1 2 "Winners of 27th Annual Imagen Awards Announced Honoring Latinos in Entertainment | The Imagen Foundation". Imagen.org. August 10, 2012. Retrieved February 26, 2013. ↑ Young Artist Awards Foundation. "Young Artist Awards – Nominees 2012". youngartistawards.org. Archived from the original on April 4, 2012. Retrieved April 7, 2012. ↑ "Kids' Choice Awards 2013 TV nominees - Exclusive". Entertainment Weekly. February 13, 2013. ↑ "Aussie's Fave Nick Star". Nickelodeon . Retrieved March 28, 2013. ↑ "Aussie's Fave Hottie". Nickelodeon . Retrieved March 28, 2013. ↑ Allves, Marcoz (October 24, 2018). "BTS, Mamamoo, Jackson Wang: Here Are The Winners Of The 2018 BreakTudo Awards". All K-Pop. Retrieved December 29, 2018. Wikimedia Commons has media related to Victoria Justice .